It was three years after the end of World War II, and Jews were busy trying to build a future that could be radically different from the recent, deadly past. Some worked on a particularist solution, creating the State of Israel, which in 1948 at long last provided a homeland and protection. And some were trying to create an international order that would safeguard human rights for everyone, as embodied in the Declaration of Universal Human Rights, which the United Nations endorsed that year. 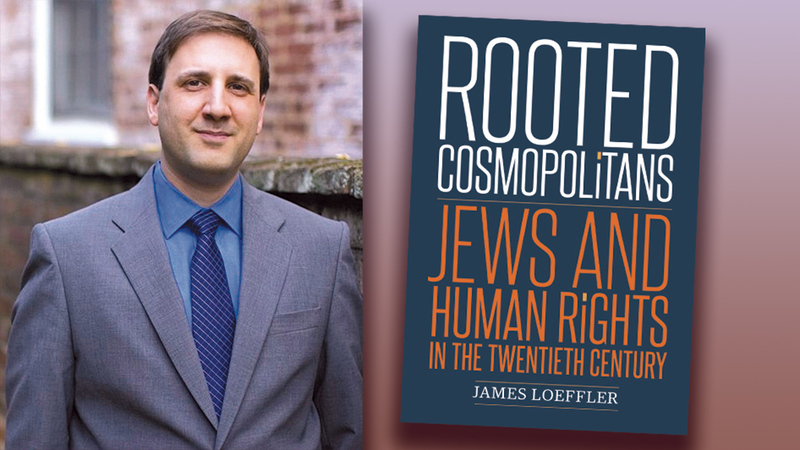 And some, as historian James Loeffler reports in his recent book “Rooted Cosmopolitans: Jews and Human Rights in the Twentieth Century,” were deeply involved on both fronts. 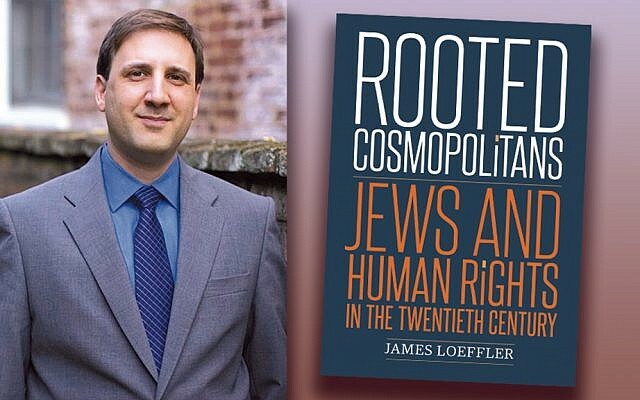 Dr. Loeffler, who teaches history and Jewish studies at the University of Virginia, will speak about his book at Rutgers on Tuesday (see box). Today, Israel and the United Nations’ rhetoric of human rights often are at odds; last year, the Trump administration pulled the United States out of the United Nations Human Rights Council in protest of that body’s disproportionate focus on Israel. A few years ago, with the 70th anniversary of both the State of Israel and the Declaration approaching, Dr. Loeffler began to wonder: How do the histories of Zionism and human rights connect to each other? Hersch Lauterpacht is Dr. Loeffler’s favorite example of someone whose life and career united the stories of Zionism and human rights, and he is one of the five figures his book profiles. “I was really surprised when I found out about him,” Dr. Loeffler said. “He was a well-regarded international lawyer, who came up with the idea of crimes against humanity at the Nuremberg trials. He was a Polish Jew who moved to England. And he was a legal advisor to the Zionist movement. He drafted a version of Israel’s declaration of Independence. Dr. Lauterpacht was born in 1897. “He grew up in the Zionist movement,” Dr. Loeffler said. “After World War I he lived through one of the great pogroms in 1918 in Lemberg. That’s when he began to be active in the quest to protect Jews in Eastern Europe through minority rights, which was the precursor to modern human rights. In 1924 he co-founded the World Union of Jewish Students. Its express purpose was to fight anti-Semitism in European universities.” By then he was in England, earning a Ph.D. from the London School of Economics in international law. He went on to teach at Cambridge. After World War II, Dr. Lauterpacht was a legal advisor to the American and British prosecutors who tried Nazis at Nuremberg, and he helped write drafts of the Declaration of Human Rights. 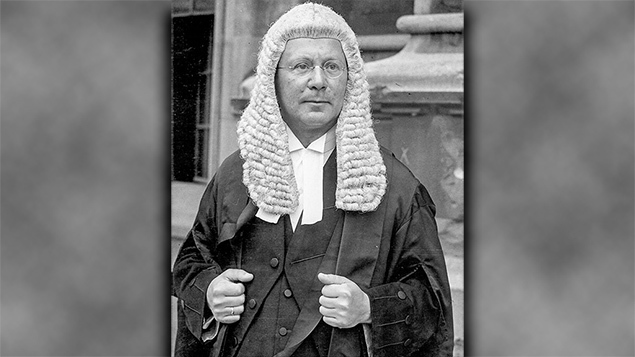 “He also ghost-wrote petitions for the World Jewish Congress trying to get more attention for the Holocaust and for the cause of Zionism and for what the Jews deserved in the aftermath of war and genocide.” He went on to serve on the international court of justice. He died in 1960. Underlying the biographical look at Dr. Lauterpacht and his colleagues is the broader contemporary question: “If everything was sympatico between Zionism and human rights, how did things get so polarized and politicized in the way people think about it? Dr. Loeffler says Dr. Lauterpacht and his colleagues were “pragmatic idealists. Rooted cosmopolitans. They thought about the world, about universal human rights, but also were very connected to Jewish concerns. They understood there were real dangers and challenges out there that could not be fixed all at once. “I don’t think we see that as much today. On the right and the left, there’s a lot more black-and-white approaches to the questions. Either human rights are the enemy of the Jewish people, or Zionism has become the antithesis of human rights. That’s a dichotomy that did not exist for these people, who saw nationalism as something that got people protections. Human rights was something that helped governments treat people justly. “Something else that’s different about those people then from people today. A lot of them had deep backgrounds in Jewish life. One of those I write about was a rabbi. But they were not very theological. They didn’t talk about tikun olam or tzelem elohim. Those weren’t the reasons they decided to pursue justice. They were much more committed to the idea of politics, much less committed to sourcing their commitment to human rights in what halacha says or what God tells us. Dr. Loeffler found another Jewish connection to the rise of Amnesty International and its approach to human rights. Dr. Loeffler’s next project is a book about Raphael Lemkin, the man who invented the word genocide. The book will be about Lemkin’s “life and activism and his efforts to fight anti-Semitism. “We know him as this crusading lawyer, this guy who suffers the Holocaust. But he was a journalist for the Jewish press in Warsaw for years and years. In the 1920s and 30s, he is writing columns and reporting in Yiddish and Hebrew and Polish. He has so much to say. “It turns out that he is a passionate Zionist, interested in Jewish women’s issues, teaching at the rabbinical school in Warsaw. He makes a couple of cameos in ‘Rooted Cosmopolitans,’ but I felt he deserved his own story. Where: Rutgers University, Douglass Student Center, 100 George Street, New Brunswick. When: Tuesday, April 2, 7:30 p.m.
Free: But pre-registration required for parking on campus at BildnerCenter.Rutgers.edu.